The probe was announced by chief Minister Siddaramaiah in Mysuru. BENGALURU: The Karnataka government has issued a notice to deputy-inspector general (prisons) D Roopa for allegedly sharing with the media her report on conditions in the Parappana Agrahara central prisons, where former AIADMK general secretary Sasikala is lodged. The government also set up a probe, by former IAS officer Vinay Kumar, into the allegations made by Roopa in her report. Siddaramaiah said the probe will file an interim report on Roopa’s allegations in one week and the final report in a month. JD(S) state president H D Kumaraswamy said the government ought to have asked both Roopa and her boss at the Parappana Agrahara prison before launching a probe into conditions in the jail. He further said the squabble between D Roopa and DGP H N Satyanarayana Rao emerged only because the two officers disagreed about how to divide the bribe they have received. 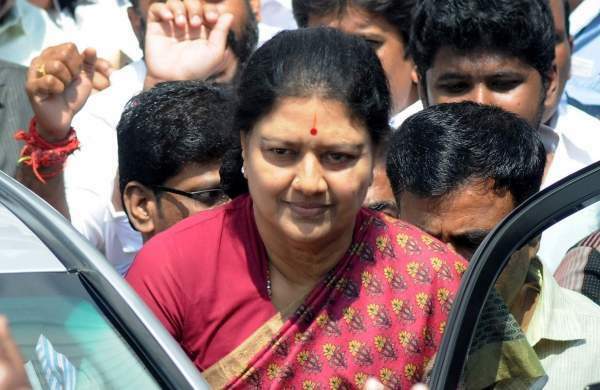 His reference is to an allegation by Roopa that her boss received a bribe of Rs 2 crore to allow preferred facilities to Sasikala in prison. Kumaraswamy said. Portraying both Roopa and Satyanarayana Rao as ‘troublemakers’, Kumaraswamy said both officers have had chequered pasts. "It is not surprising that they fought over money," he said.